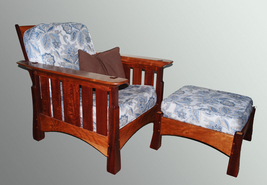 The rockers can be custom fit to the client. 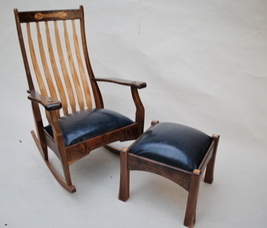 Lacewood adds the life and the deep padded leather adds the comfort. 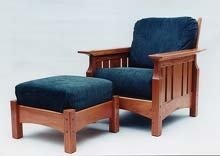 The rocker has a lower seat profile suite for folks under 5' 10"
This custom rocker has two inlays and the ottoman has maple inlays on top of the legs. 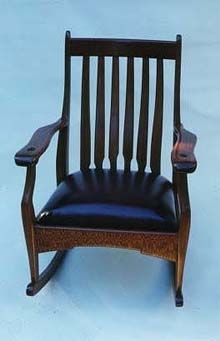 The chair is made of cherry and jarrah making a nice two tone effect. 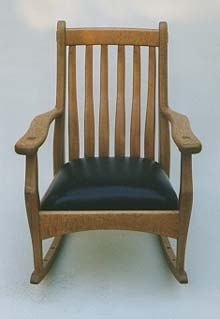 Maple is used for accent features. 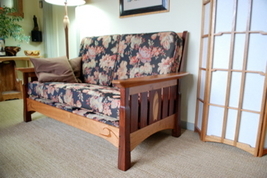 The couch is made of cherry, jarrah and inlays of various hardwoods.